Islam is a religion of tolerance and peaceful coexistence with all of humanity both as individuals and communities. Islam views people as honored creatures without regard for their religion, race, or color. God Most High says, Verily We have honored the Children of Adam. We carry them on the land and the sea, and have made provision of good things for them, and have preferred them above many of those whom We have created with a marked preferment [17:70]. Islam has come up with a code for relations between Muslims and non-Muslims living in the same society: God forbids you not those who warred not against you on account of religion and drove you not out from your homes, that you should show them kindness and deal justly with them. Lo! God loves the just dealers [60:8]. God commands us in this verse to act well towards non-Muslims and not harm them saying, “show them kindness (tabirruhum),” for kindness (birr) is all that is good. It is as if God is commanding us, and making it preferable that we cooperate with non-Muslims in all avenues of good. All who truly know Islam are aware of its concern for global peace, since it made it one of its main pillars. Peace (al-Salam) is one of the names of God Most High and it is among His attributes, He said, He is God, than Whom there is no other God, the Sovereign Lord, the Holy One, Peace, the Keeper of Faith, the Guardian, the Majestic, the Compeller, the Superb. Glorified be God from all that they ascribe as partner (unto Him) [59:23]. He made peace His greeting to His servants and enjoined them to make it their greeting as well; they exchange it whenever they meet, it is their distinguishing mark in the mosque, school, factory, and marketplace. Paradise is named the Abode of Peace: He said, For them is the Abode of Peace with their Lord. He will be their Protecting Friend because of what they used to do [6:127]; and the other verses in which “peace” is mentioned are numerous. This peace and security is not limited just to Muslims. Muslims believe that all men, regardless of their faith, always posses the right to live in peace and security in Muslim lands. Protecting others from oppression within one’s borders is something that Islam makes mandatory emphasizing this and forbidding Muslims to harm or have animosity against those under their protection either by word or deed. God Most High does not love or guide oppressors; He gives them their punishment ahead of time in the world, or leaves them to be punished doubly in the afterlife. Islam encourages peace and security due to the extremely important effect they have on making life stable for humanity and making advancement possible in all fields. In order to comprehend the extent of the effect of peace and security on the advancement of peoples, we need to take a look at the destructive effects of war on peoples, advancement, and development, for as the saying goes, “The good of something is revealed by its opposites.” Since the basic components of community development and advancement are the physical well-being of the individuals of the society so that they can fulfill their roles, we find that wars and economic sanctions have a devastating effect on the health and well-being of a community. 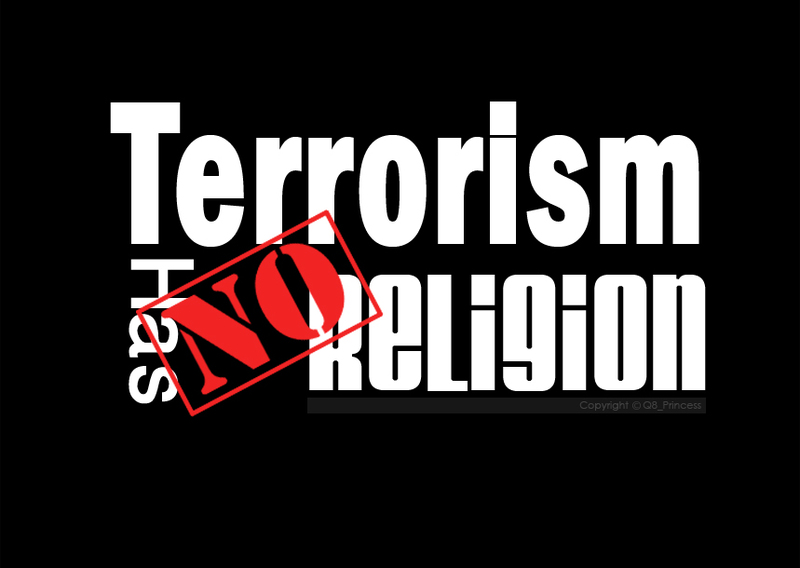 It is both false and unjust to think that Islam is the cause of terrorism just because it is carried out by groups who associate themselves with Islam; otherwise this claim would be call for the destruction of all religions. Similarly the clear and unabashed terrorism practiced by the Zionist entity cannot be blamed on the teachings of Judaism, for a all religions came as a mercy to people and a means of spreading justice and forgiveness among them. This does not mean that we deny the acts of destruction and terror which occur in our secure countries, but they are the result of perverse minds, desolate hearts, and arrogance. Alllah says, Behaving arrogantly in the land and plotting evil; and the evil plot only encloses the men who make it [35:43]. In fact the words of God nearly apply directly to them when He says, And of mankind there is he whose conversation of the life of this word please you (Muhammad), and he calls God to witness as to that which is in his heart; yet he is the most rigid of opponents. And when he turns away (from you) his effort in the land is to make mischief therein and to destroy the crops and the cattle; and God does not love mischief. And when it is said to him: Be careful of they duty to God, pride takes him to sin. Hell will settle his account, an evil resting-place [2:204-206]. We ask God to inspire us with guidance and to give peace to our children, our countries, and the entire Muslim community. And God is Most High and Knows Best.